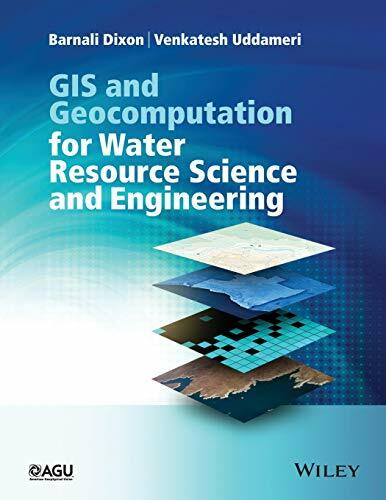 GIS and Geocomputation for Water Resource Science and Engineering not only provides a comprehensive introduction to the fundamentals of geographic information systems but also demonstrates how GIS and mathematical models can be integrated to develop spatial decision support systems to support water resources planning, management and engineering. The book uses a hands-on active learning approach to introduce fundamental concepts and numerous case-studies are provided to reinforce learning and demonstrate practical aspects. The benefits and challenges of using GIS in environmental and water resources fields are clearly tackled in this book, demonstrating how these technologies can be used to harness increasingly available digital data to develop spatially-oriented sustainable solutions. In addition to providing a strong grounding on fundamentals, the book also demonstrates how GIS can be combined with traditional physics-based and statistical models as well as information-theoretic tools like neural networks and fuzzy set theory. Barnali Dixon is a Professor in the Department of Environmental Science, Policy and Geography at the University of South Florida St. Petersburg (USFSP) and the Director of the Geospatial Analytics Lab of USFSP. Venkatesh Uddameri is a Professor in the Department of Civil, Environmental and Construction Engineering at Texas Tech University and the Director of the TTU Water Resources Center.